We have a cameo appearance in today's blog from Betty, a 3 year old Kokoni. Betty was adopted from a Cretan dog shelter by some friends of mine. She pretty much goes everywhere with them these days. Being quite a bit smaller than Sage, and white and fluffy, it is probably true that places which would turn a blind eye to Betty coming in might not tolerate larger, more conspicuous dogs. 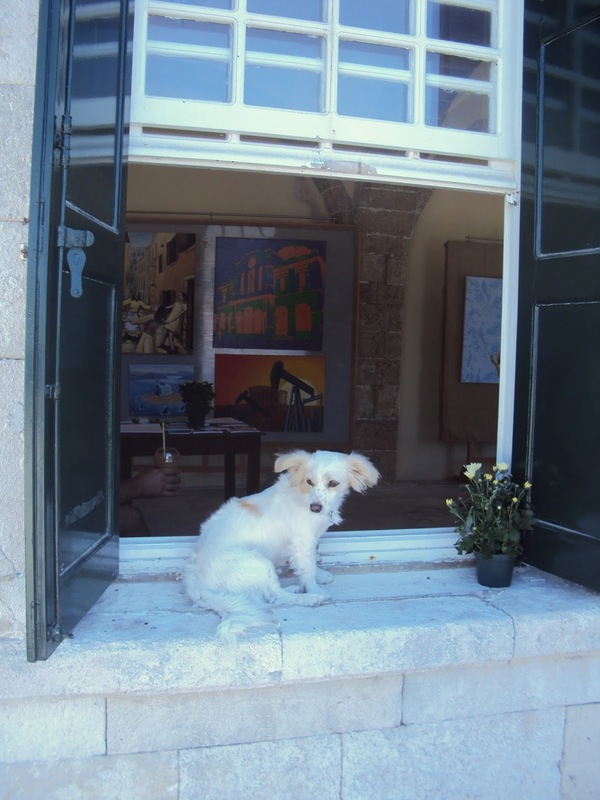 Betty has stayed at the Morfeas Nest Rent Rooms, near to the old harbour, on two occasions. Prices vary according to season, so best to contact them for more information. 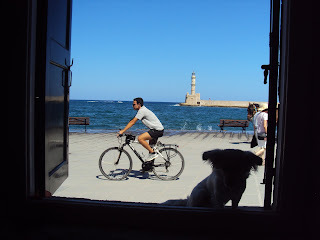 I have also been around the old town in Chania with Sage. One afternoon in September we sat outside at the last cafe around the Venetian Harbour, opposite the lighthouse. This is the quietest, calmest part of the harbour, and a little easier to find an out of the way spot. I'm not sure how it would be, however, to walk along the harbour in the height of summer with a Sage-sized dog. 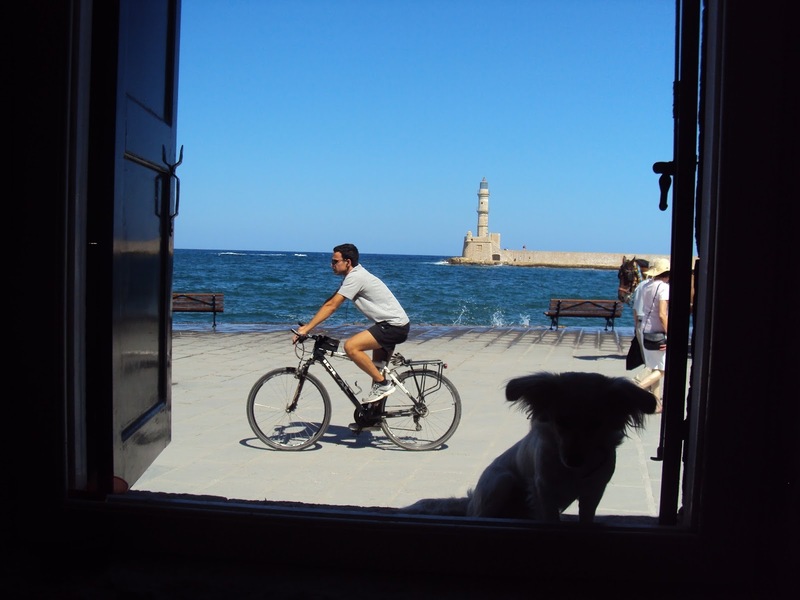 I would really appreciate any suggestions of dog-friendly hotels/hostels/rent rooms, as well as tavernas and bars in Chania. Please add a comment, and I'll go and investigate this summer with Sage.